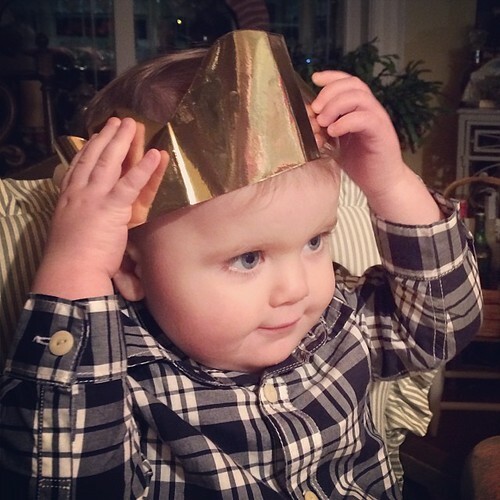 Ollie and his cracker crown, a photo by Venus In Furs on Flickr. Christmas and New Years have come and gone and somehow I've managed to forget to post anything lately. Oliver had a good Christmas. And an exciting post-Christmas as we took the boys on their first plane ride to visit Todd's mom in Kentucky. I'm happy to report that Oliver was pretty good for most of the travels, and people behind us on one leg of the journey even told us how good he is.